You need a credit card to make any progress on improving your credit, but that low credit score prevents card issuers from approving you. A low credit score often puts you in a catch-22 type of situation. The credit cards you can actually get will come with few benefits, excessive fees and high interest. The USAA Secured Card is an excellent choice to avoid those issues. It’s an American Express card, which means it’s accepted in most areas throughout the United States and the rest of the world. It has the usual great rewards USAA offers along with the company’s low-interest rates. Learn more about it here to see if it fits what you’re looking for. You’ll find that the annual fee is very competitive compared to other credit cards intended for repairing a bad credit score or establishing credit. 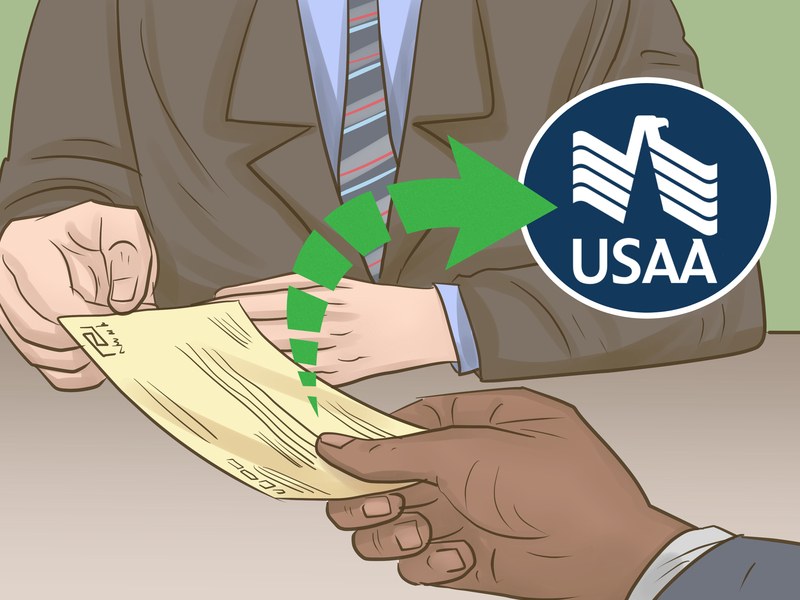 This USAA benefits card has low-interest rates and the lack of a penalty APR means that you don’t need to worry about getting hit with hefty interest charges if you slip up. One of the unique aspects of this American Express card is how the refundable security deposit works. With your typical secured credit card, you pay your security deposit upfront, and this amount of money becomes your credit limit. Once you either close the card or switch to an unsecured card, you get your security deposit back, as long as you’ve paid off what you owed. Once you submit your application, USAA will process the information to determine whether you’re approved and, if so, the exact terms it will offer you. You should be able to get the card even if you have a bad credit score, as it’s intended to help people in that situation. There is a large market of credit cards aimed at those who need to either start building their credit or fixing damaged credit due to previous financial issues. Thanks to its low annual fee, excellent interest rates, reasonable term, and great benefits, this USAA card is definitely one of the top options you have available. Since USAA reports your activity to the credit reporting bureaus, this card can be instrumental in boosting your credit score. Just remember that you need to have the right financial habits for this to work. If you don’t pay your bill on time or you have high credit utilization, you could end up bringing your credit score down and ending up worse off than when you started. USAA has free monthly credit monitoring available, and while you use this card, you’ll also be able to stay up to date on how your score is progressing. If you have no credit or have never had a loan, you need to build a credit history. If you have been in bankruptcy, have delinquent payments or defaulted on a loan, you need to rebuild your credit. The USAA secured card with American Express is a very reasonable way to do both. Not a debit or prepaid card, it is and works like a real credit card. You can begin to build or rebuild your credit with as little as a $200 and up to a $5,000 deposit. This becomes your credit limit. You can earn interest on your deposit and after a while actually, have more than your initial deposit in the first place. Provided you make your payments on time and stay within the limits of your credit agreement. Your account information is reported every month to the three main credit bureaus, Equifax, TransUnion, and Experian. This is excellent for building and re-building your credit, as long as you make those payments! Be diligent in checking your credit report regularly, as errors can happen. Don’t purchase more than you can afford, to avoid getting in over your head in financial trouble. A USAA secured card is an awesome financial tool to display positive financial behavior and establish good and better credit. The average time it takes to begin or turn your credit around is 12 to 18 months. Another benefit with this card is you receive a monthly Experian Vantage score and your yearly Experian credit report for free. This helps you keep up to date with your credit history ensuring it is accurate. They have only the best security measures for online and fast logins so you can rest assured your account is secure in every way with a USAA secured card. When looking for what kind of rewards does this card offer notice you get points for spending on things you would normally do. You can earn three points for eating out, two points for getting gas and groceries, and one point for every dollar you spend on any and all purchases. When you’re looking for what kind of rewards does this card offer USAA didn’t place a cap or any limits on reward points. The gravy on top is that you get 2,500 bonus points with your first purchase. You can claim your reward points for cash, travel, gift cards, and merchandise, or donate to your preferred military affiliate group. You can redeem collected points to win several options of reward gifts. For example, for using 30,000 points you receive a gift of $300 towards Air Travel. For 25,300 points you can receive $300 towards a Cruise Value Certificate. With 15,150 points you can receive $150 Cash Rebate which you can redeem for mobile purchases. Finally, with 1,400 points, you get a gift of the brand new Sony “Noise Canceling Headphones”. When approved, you also get to choose the military design on your card. There is no limit to the amount of rewards points you can earn and you can easily transfer points to other USAA card holders. If your wondering how low are the interest rates for USAA secured card here is the costs, rates and fees information. Interest rates and charges can be confusing, just remember the lower the better. How low are the interest rates for USAA secured card? When you break it down they have one of the best rates for rebuilding your credit. How low are the interest rates for USAA secured card varies as they can increase or decrease according to the prime rate on a margin based on the market value? The variable rate is added to the prime rate and the answer to the equation is called the APR or Annual Percentage Rate on your card. This is what to watch out for when using USAA secured card. Regular APR on purchases, transfers, cash advances, and balances is 11.65 percent and up to 27.65%. This is also factored in with your creditworthiness. There is no annual fee or penalty fee but there is a 3% transaction fee for balance transfers and cash advances. The cash advance fee is waived when done electronically to your USAA bank account. There is also a $200 maximum on balance transfers. When you have a variable APR, the interest rate on your minimum payment may increase or decrease. It’s best to pay off balances on time, every month payment is due. This is where the “purchase grace period” kicks in. What to watch out for when using USAA secured card is using your grace period wisely. You can steer clear of paying interest on your most recent purchases, itemized on your current bill. If you paid in full the previous balance from the month before on or before the due date, then no interest is applied to these purchases. There is no grace period if you carry a balance or pay late. The grace period is not applicable for Balance Transfers and Cash Advances. Occasionally promotional APR’s will be offered. This can work to your advantage considering your creditworthiness and credit history. Still, it is always best to use the grace period and avoid APR’s altogether while establishing your credit.